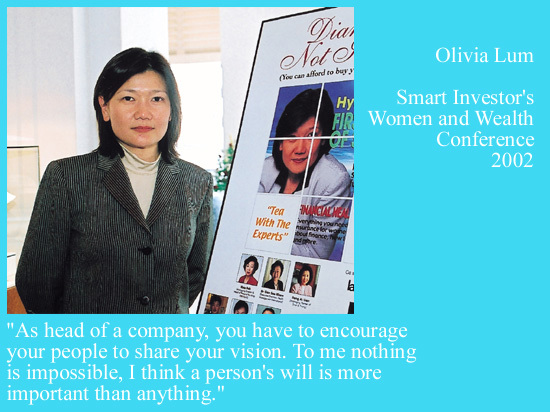 Olivia Lum is a Singaporean businesswoman. She is best known for being the founder, group chief executive officer, and president of the Singapore-based Hyflux Group. She also heads the Research and Development function. She was raised in an orphanage, and while she may not know much of her past, Olivia Lum is building a future that many will remember. PN Balji profiles the recently named World Entrepreneur of the Year. Hunger is a theme that Singapore water entrepreneur Olivia Lum keeps coming back to in her interviews. She told the press after bagging the prestigious World Entrepreneur of the Year award on June 4: "This reinforces that there are no difficulties you can't overcome when you have faced the challenges of hunger and poverty." That is her life story, too. She grew up in the mean streets of Perak, Malaysia, as an orphan living with four other children in a hut under a tin roof. Lum survived by selling fruit and bread in her school canteen. She was a smart and hard-working kid, excelling in examinations. Her early life's turning point came when her teacher advised her to continue her studies in Singapore, the place down south where many Chinese Malaysians went to in search of that pot of gold. With almost no money in her pocket, the teenage Lum boarded a train and headed straight to Singapore. She lived with Good Samaritans while she knocked on the doors of junior colleges for admission. She supported herself by being an insurance agent. Good results got her into university and she eventually graduated with a degree in chemistry. Her first job was with Glaxo Pharmaceuticals as a chemist at the company's water plant. But her ambition was growing, and she set her sights on starting her own business. 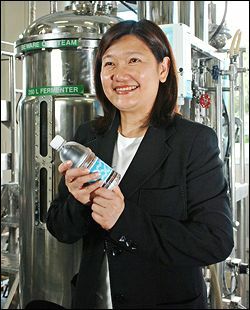 This desire and her love affair with water made her start what was to become Hyflux, a company with market capitalization of about $1.8 billion and a listing on the Singapore stock exchange. She remembered telling her boss in 1989: I have no money, no technology to sell, and no customers, but I feel that water is a sunrise business and I can do something for the environment. At the age of 28 and with just $15,000 and two employees, she took the dive into the deep. The business started as a trading company selling local water-treatment services to other companies in Singapore and the region. But that was not enough for her. Lum got in touch with her university lecturers for research and development and began to reinvent her business. Her trading house became an innovation center and a maker of systems that use fine membranes. Her timing couldn't have been better. The Singapore government was beginning to see water technology as a business and as an export industry. Her company shifted focus to producing drinking water from sewage water and from seawater and Lum was poised for the big time. Today, Hyflux is one of the world's largest water-treatment companies with annual revenues of $450 million and a staff of 2,300 across South-east Asia, China, India, the Middle East and North Africa. She knew that to make it big she had to go into China. Lum opened in Shanghai in 1993, just four years after starting Hyflux. For three years, the China revenue was zero. "We almost bankrupted the company," she told the Financial Times. All that is history. Today, the China business contributes 20 percent to her firm's revenues and Hyflux now has more than 40 projects throughout China. The company developed China's largest seawater reverse osmosis desalination plant in Tianjin Dagang and is operating and maintaining the plant on a 30-year concession. Recently, it was awarded four projects on the Build-Own-Transfer arrangement, each with a concession period of 30 years. These included a wastewater treatment plant for Zunyi City in Guizhou province, and two wastewater treatment plants and a potable water treatment plant in Hechuan Industrial Park, Chongqing City. 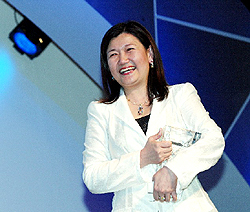 On June 4, Olivia Lum was feted for her achievements when she beat 48 country finalists to be crowned the Ernst and Young World Entrepreneur of the Year 2011 - the first woman to win in its 11-year history. Looking back on her struggles and achievements, Lum said she realized the need for and the value of money. "Without money it was very painful. Our neighbors quarreled because of money. I knew early on that I should not let money manage me, and at the start, it was a big motivator for me. "Now I always feel blessed that I can create a lot of opportunities for myself and others. If I am able to create opportunity, that is the biggest satisfaction. "My people are able to be better off financially, emotionally. Sometimes they have not discovered how good they are until you give them an opportunity." On being a woman and an entrepreneur, the 50-year-old said: "The pressure may be unspoken but it is real: Starting a business is much harder for a woman than for a man. But once you have launched your business, then making it really successful is equally hard for a man or a woman." The best compliment a woman boss could get must come from a man, especially from a person who works closely with her. Asked about Lum, he said without hesitation: "She is fantastic. Olivia is decisive and is not afraid to admit it if she has made a mistake." Lum was adopted at birth, and never knew her biological parents; she was brought up by a woman she called her "grandmother". When Lum was only three, her grandmother gambled away her savings; they lost the house in which they were living, and moved to a leaky shack without running water. She came to Singapore at the age of 15 and enrolled at the Tiong Bahru Secondary School, where she supported herself through tutoring and sales jobs. 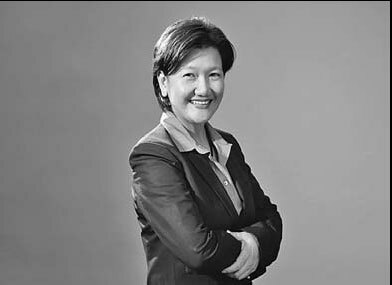 She went on to study at Hwa Chong Junior College and graduated in 1986 with an Honours degree in chemistry from the Faculty of Science of the National University of Singapore. Lum started corporate life as a chemist with Glaxo Pharmaceutical. 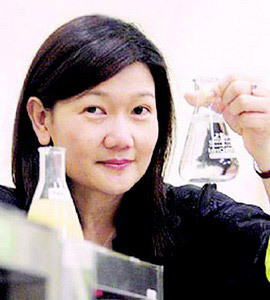 After working for three years at Glaxo, she left in 1989 at the age of 28 to start up Hydrochem, the precursor to Hyflux, with just SG$20,000 of capital, which she raised by selling her condominium and car. She hired three employees at the start; Lum herself rode around on a motorcycle selling her company's water filters and treatment chemicals. By January 2001, Hyflux had become the first water treatment company to be listed on SESDAQ, and was upgraded to the Singapore Exchange's Mainboard in April 2003. By 2005, she had a net worth of over US$240 million, which earned her a place as the only woman on Forbes' "Southeast Asia Rich List". As of 2007, Hyflux was worth SG$1 billion and employed more than 800 people. Lum holds several positions in public service. She is a board member of SPRING Singapore, the National University Singapore Council, and the Singapore Exchange, as well as the president of the Singapore Water Association. She is also a member of the UNESCAP Business Advisory Council and the Singapore Green Plan 2012 coordinating committee. Lum was a Nominated Member of Parliament in the Parliament of Singapore from 2 July 2002 to 1 January 2005. In 2003, she was awarded the International Management Action Award, followed by the Global Female Invent and Innovate Award the following year. 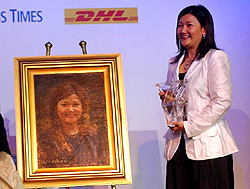 On October 3, 2008, Lum resigned her position as independent non-executive director of the Singapore Exchange and relinquished her position on the audit, regulatory conflicts and remuneration committees of the Exchange, according to the Exchange's filing. She stated this was due to her heavy work commitments in line with Hyflux's rapid expansion, and that her resignation would enable her to focus more time and resources on Hyflux's growth. This page is dedicated to Olivia Lum (Group CEO and President of Hyflux Ltd). Growing up as an orphan in Perak, Malaysia, Olivia Lum's entrepreneurship began early. As a child, she peddled homemade ice-lollies. At 16, the straight-A student came to study at Tiong Bahru Secondary School in Singapore, where she paid her own way by giving tuition and peddling wares. She proceeded to Hwa Chong Junior College and then to the National University of Singapore where she graduated in applied chemistry during the 1986 recession. She joined Glaxo as a laboratory chemist. During her 3 years stint at Glaxo, Olivia saw the immense potential of water treatment business. Driven by passion, she decided to start her own business and sold her condominium and car to raise S$20,000. Hyflux started as a 3-person trading company selling water treatment systems in Singapore, Malaysia and Indonesia. During that time, Ms Lum rode a motorbike from Jurong to Batu Pahat, knocking on factory doors to sell her water filters and softeners. She ploughed whatever profits she made back into her business and made her first million five years after she started. The business grew rapidly and a little more than a decade later, Hyflux became the first water treatment company to be listed on SESDAQ in January 2001. In April 2003, it was upgraded to the Singapore Exchange’s mainboard. Since it’s founding, Hyflux has extended its core competency beyond system integration into the realms of research and development, design and build works and consumer products development. Today, Hyflux is one of Asia’s leading water and fluid treatment companies, specializing in the manufacture and use of membrane and related technologies for liquid/solid separation. It is also an integrated solutions provider, offering a suite of turnkey services including process design and optimisation, engineering procurement and construction management, pilot testing, fabrication, installation, commissioning, operation and maintenance as well as Design-Build-Own-Operate (DBOO) solutions. Through the years, Hyflux has established an impressive track record in the designing, building, supply, operation and maintenance of purpose-built water treatment and liquid separation plants, using advanced membranes for a diverse portfolio of industrial,municipal and governmental clients. Olivia is the driving force behind Hyflux’s growth and business expansion, responsible for policy and strategies formulation and corporate direction. She also heads the Research and Development function, which is her first love. In addition to a thriving presence in China and Singapore, the Group who has also successfully penetrated the lucrative Middle Eastern market will be setting its sights on India , Southeast Asia and Africa. An Interview with Olivia Lum, Group President and Chief Executive Officer, Hyflux Ltd.
Olivia Lum started corporate life as a chemist with Glaxo Pharmaceutical and left in 1989 to start up Hydrochem (S) Pte Ltd, the precursor to Hyflux Ltd. A former Nominated Member of Singapore Parliament, Olivia Lum is a member of the Singapore-Tianjin Economic & Trade Council and the Singapore-Jiangsu Cooperation Council, as well as the President of the Singapore Compact for Corporate Social Responsibility. Lum has been recognized as Winner of the Regional Growth Award by Nihon Keizai Shimbun at the 11th Nikkei Asia Prize 2006 and was most recently chosen as the Ernst & Young World Entrepreneur of the Year 2011. 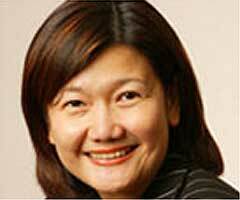 She holds an Honors degree in Science from the National University of Singapore. Hyflux (www.hyflux.com) is one of the world’s leading fully integrated water solutions companies with operations and projects in Southeast Asia, China, India, the Middle East, and North Africa. Hyflux is committed to providing cost-effective and sustainable solutions in seawater desalination, water recycling, and wastewater treatment, including membrane bioreactor (MBR) and potable water treatment. Hyflux’s track record includes Singapore’s first water recycling plant and first seawater reverse osmosis (SWRO) desalination plant and China’s largest SWRO desalination plant in Tianjin City. The company is building the world’s largest SWRO desalination plant in Magtaa, Algeria. Hyflux has also been awarded Singapore’s second and largest SWRO desalination plant, which will be developed on a design, build, own, and operate model. What was your vision for Hyflux when you created the company and what made you feel there was opportunity for the business? My vision for the business and company was influenced by my life experiences. I grew up in a hut with no proper sanitation and no running water. From a young age, I learned to value water. While working at Glaxo, I was looking into wastewater treatment. I saw how companies faced challenges treating the wastewater from their production processes. Issues such as the safety of the water that we consume, water scarcity, and water pollution have always been around. I saw that these problems could only multiply with rising populations, urbanization, and industrialization, and there could only be opportunities in this “sunrise” business. That said, I was also naïve to think that I could solve the world’s problems regarding water. Would you highlight the products and solutions that Hyflux offers and your outlook for growth for the brand? Hyflux provides solutions in seawater desalination, water recycling, wastewater treatment, and potable water treatment for the municipal and industrial markets. Hyflux is recognized as one of the world’s largest desalination suppliers. We approach projects in a couple of ways: one is through Build-Own-Transfer (BOT) or Public-Private-Partnership (PPP), where we design, build, test and commission, operate, and maintain the project, in addition to arranging for project financing. For such projects, we have a water purchase agreement with the main off-taker, such as the municipal government, to provide water over a long-term concession period of some 20 to 30 years. Some projects involve just engineering, procurement, and construction (EPC) works, and this is where we provide turnkey project management to ensure that the plant is completed on schedule, within budget, and meets the customers’ specifications. For such projects, we hand over the plant to the owner upon testing and commissioning. Hyflux’s proprietary membrane technologies play a key role in many of our water treatment projects. For instance, Kristal®, our flagship ultrafiltration membranes, are installed in the pretreatment systems of some of the world’s largest seawater reverse osmosis desalination plants. Our membrane products and systems are also used for treating wastewater generated by industries in their production processes. To date, Hyflux’s membranes and systems have been installed in more than 1,000 plants across 400 locations worldwide. The use of membranes in water treatment plants has been known to yield substantial benefits over conventional methods of filtration, the main advantage being the lower environmental impact in terms of footprint and chemical use. A lack of water impacts the economic and social development of countries. Increasingly, governments are taking a more concerted and urgent approach to their water management policies and practices, and are investing heavily in infrastructure to develop and conserve water resources. Hyflux sees itself as providing reliable, long-term solutions to the challenges of water scarcity and water pollution that these countries face. Hyflux is a company with a strong set of values. Would you provide an overview of the company values and how critical they are to the Hyflux culture? Hyflux has an energetic culture that is rooted in entrepreneurship. The pace of work is fast here and I have people say that after working at Hyflux for three months, it feels like three years. We have the boldness to dream. We have a “can-do” spirit. Obstacles can be overcome; it’s how we approach the challenges and solve the problems. Innovation is very much a part of our culture and plays a role in how we develop our technology, our approach to projects, and in every aspect of our business. Integrity is all important to us and our employees are mindful that they are our brand’s testimony. As a Singapore company, we are also fully conscious that we are ambassadors of the Singapore brand, which is synonymous with integrity and efficiency, among other attributes. And in everything we do, we aim for excellence. These qualities and values of Hyflux are critical as they have defined us and helped us win contracts and deliver projects in Singapore and other parts of Asia such as China and India, and in the Middle East and North Africa. You have built a culture of innovation at Hyflux. How have you retained the innovation edge as the company has grown in size and scale? As a young company – we are only 22 this year – the corporate culture of Hyflux is still evolving. It will not be easy maintain this innovation edge as we grow in size and scale and in different geographies. Communication will be increasingly important to building a common group culture in different countries. A lot of my time is spent speaking with my management team. We will also need to put in a lot of effort communicating with mid-level management and developing a system of mentoring the younger staff. With time, the communication avenues, common processes, and management systems that are being developed will be integral in transmitting our vision, mission, and shared beliefs and values to our entire staff across the different markets. How strong is the global footprint for Hyflux and which key markets are you focused on for the future? We are entrenched in our key markets of Singapore, Southeast Asia, China, India, and the Middle East and North Africa (MENA). Singapore is our home market and we have an integral role partnering with the local water agency in achieving the country’s water security. We were pioneers in the NEWater (recycling of wastewater for reuse) technology and desalination in Singapore. We built Singapore’s first seawater desalination plant and are developing the second. We entered China in 1994 and operate and maintain more than 20 projects there, including China’s largest SWRO in Tianjin. In terms of MENA, we have two large-scale desalination projects in Algeria: the first is already operating, while the second, which is the world’s largest SWRO, is scheduled for completion in 2012. The MENA countries rely heavily on desalination for water and are increasingly looking at membrane-based desalination as opposed to thermal distillation. We are also exploring opportunities in South America where there is rising interest in membrane-based solutions in water recycling and desalination by the burgeoning industries and increased urban populations. How critical is corporate responsibility to the culture of Hyflux and would you highlight your major areas of focus in this regard? Fundamental to our mission is to deliver water that is clean, safe, affordable, and accessible to all. As such, we view corporate and social responsibility (CSR) as essential to how we operate and how we behave as a corporate body, and to the success and sustainability of our business. In the area of corporate responsibility, we are committed to the best practices in corporate governance and processes that will enhance our group’s effectiveness, ensure the appropriate degree of accountability and transparency, and increase long-term value and return to stakeholders. We subscribe to the Code of Corporate Governance in Singapore and take into account all applicable legislation and recognized standards. We have a Code of Ethics and Conduct that is given to every employee who is expected to abide by it. Our CSR initiatives also encompass areas such as our recruitment, retention, and human capital development policies and practices where we believe in providing a diversified, inclusive, and fair work environment, in nurturing the full potential of our employees, and in open communication and employee engagement. Our commitment to quality, environment, and health and safety standards and practices is affirmed by the various third-party certifications that we have attained – whether it is ISO, bizSafe, or NSF International Standards for safe drinking water. Our community initiatives focus on issues/areas such as the environment, education, entrepreneurship, and community relations and outreach. To show our commitment to CSR, Hyflux is a member of the Singapore Compact for CSR and also a member of the UN Global Compact. I am the president of the Singapore Compact for CSR. Did you always have an entrepreneurial spirit and the desire to create your own company? From my youth, I cultivated the ability to persuade and to sell, out of necessity in order to earn some money for my family’s upkeep. I was determined to get out of the poverty cycle, to become rich and never to be in want again. The entrepreneurial spirit was ingrained and I always knew that I would start my own business. I seized the opportunity to fulfill my dream when the time came. I knew I would never be satisfied until I tried my hand at being an entrepreneur and found out where my dream could lead me. What makes a successful chief executive and how do you define the role today? A successful chief executive has to be able to communicate his/her vision to the employees and inspire them to walk the talk. A successful leader is able to inspire his employees to achieve their fullest potential. People management is important – and this encompasses motivation, development, rewards, and retention – as it is the people in the company who can help you succeed. And a successful chief executive hires people who are better than him/her to complement his/her strengths and to add value to the leadership. You have achieved great success in business, but there are still few women chief executives of major corporations worldwide. What more can be done to position women in these roles and are there strong opportunities for women to lead in business? There have been women who have risen to head nations. There are many women who are outstanding leaders in business. Given the encouragement, the right support system, and the opportunities, I don’t see why more women cannot be leaders in business. Equal opportunities in education and at the workplace, female role models, and shifting norms and expectations of a woman’s role in a family will encourage more women to step out in the business and corporate world. There must be a mindset change from all quarters – from the schools to the agencies and institutions to the family units, and even with women themselves. Sometimes women tend to underestimate or underplay their own strengths and successes. What advice would you give to young entrepreneurs as they begin their careers and hope to create the next great company? I would say, dream big, work hard, and persevere. You must have that vision to work towards. Only you can choose to work hard to make your dream happen. There will be various obstacles along the way and you may stumble or fall. However, the only way to move forward is to pick yourself up, learn from the experience, and not repeat the same mistake. How would your senior executives describe your management style? My approach is very hands-on and I am involved in the day-to-day operations of the company. We have a flat structure so decisions can be made quickly. I drive my senior executives hard. At various times, I’ve been described as a tyrant and a pressure cooker. But opportunities don’t wait for you; you have to seize them. While impatient by nature, I can be patient for success. I am willing to wait for results from the new markets that we are venturing into. However, I tell my people very clearly that I am intolerant with doom and gloom, and pessimism. It is defeatist to say that something cannot be done when you have not even tried. What are your priorities for Hyflux as you look to the future? A key priority is to steer our group through this downturn and to emerge stronger for it. We will continue to drive operational excellence in all aspects of our business and operations. With our expanding portfolio of water projects across the world, we will need to manage our assets more efficiently and to create higher returns for our group.